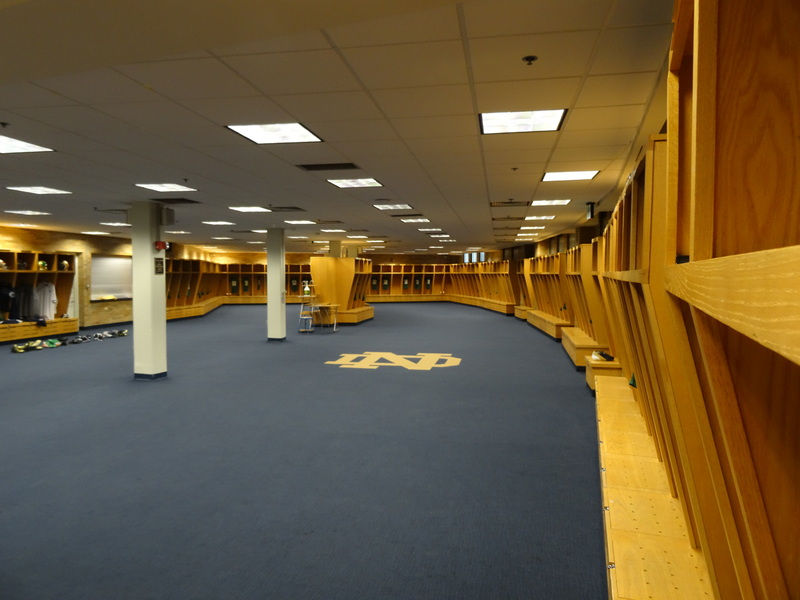 and take a tour of their sports facilities which was a bucket list item of Trey’s. 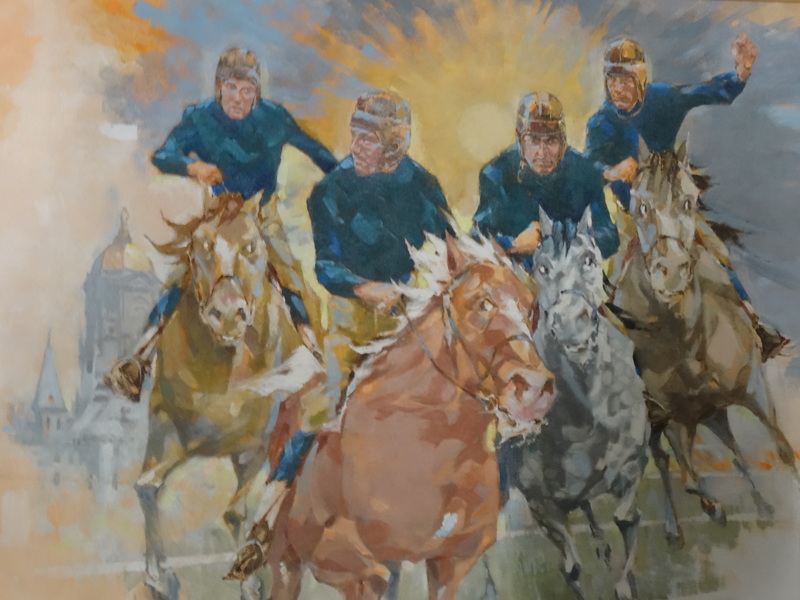 Not because Trey is a Notre Dame fan – because he is a sports fan and he respects deep traditions in sports; and few schools exemplify deep tradition like Notre Dame. 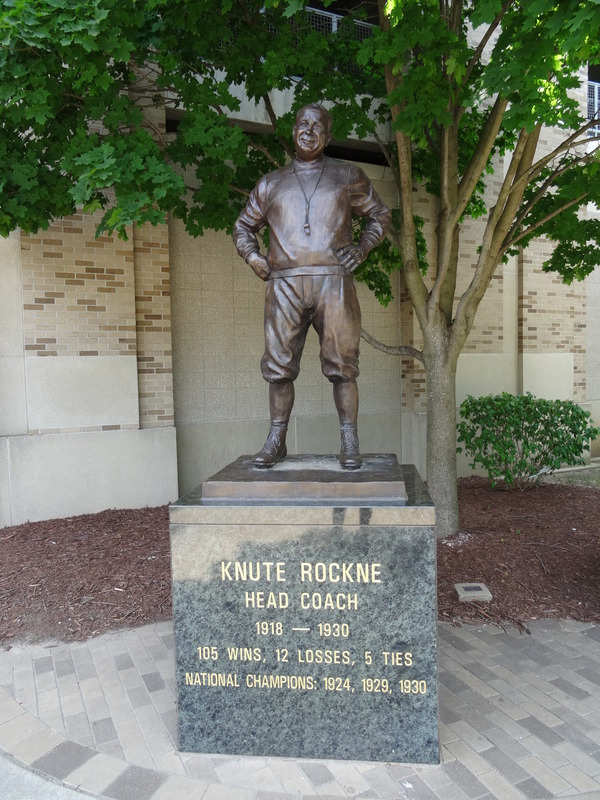 He enjoyed touring the Fighting Irish football stadium and locker room, and the various memorabilia and commemorative statues displayed. 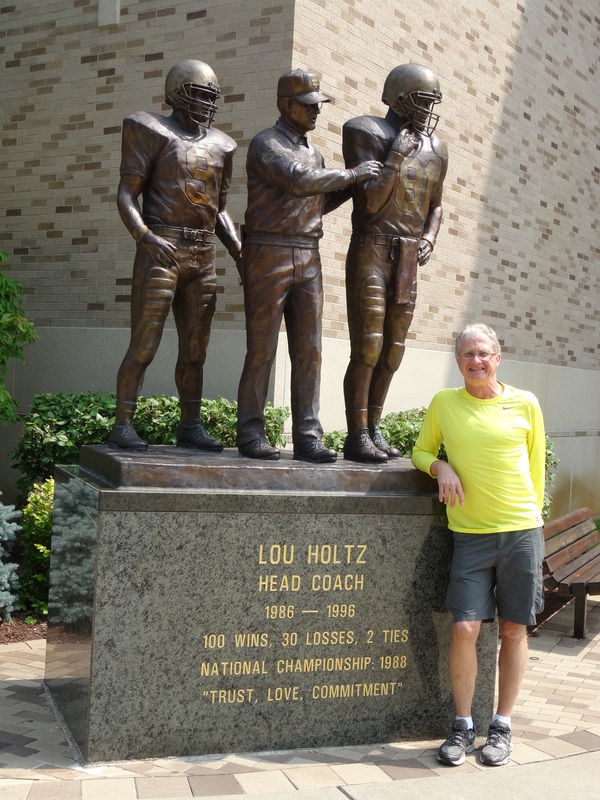 We were both so inspired that we downloaded the movie Rudy and watched it in our hotel room that evening. 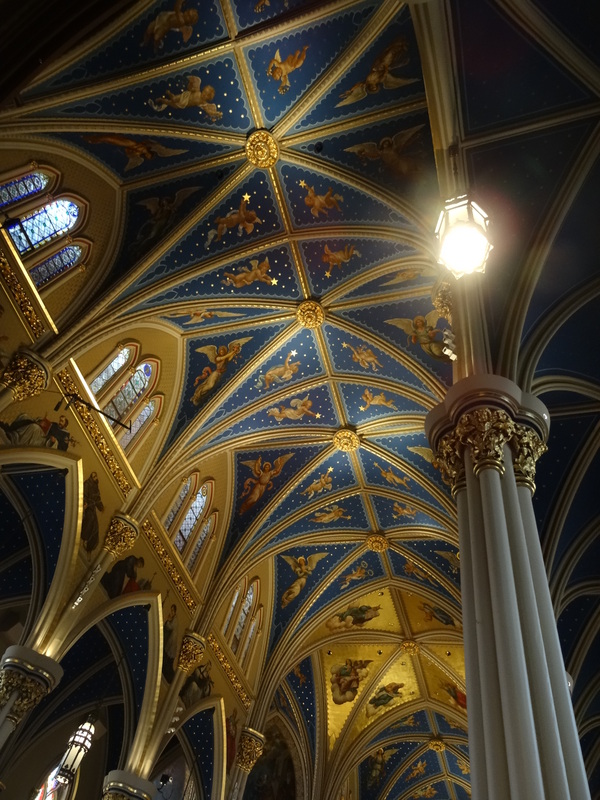 We also enjoyed the beautiful Notre Dame campus which included the Basilica of the Sacred Heart, the third such Catholic icons we had visited since our departure from Austin two months prior (see Montreal and Ottawa). 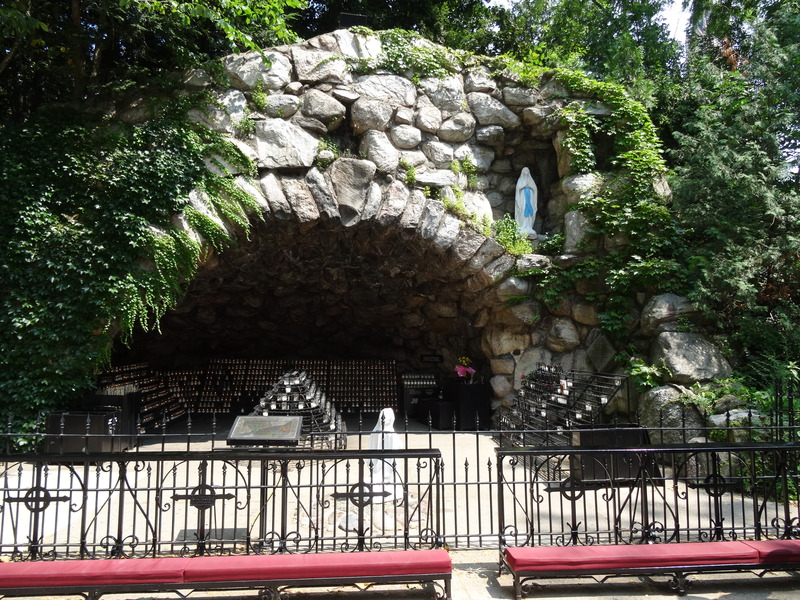 There was a “grotto” adjacent to the basilica that had been built into a hill and offered students a peaceful space for lighting a candle, contemplating and praying. 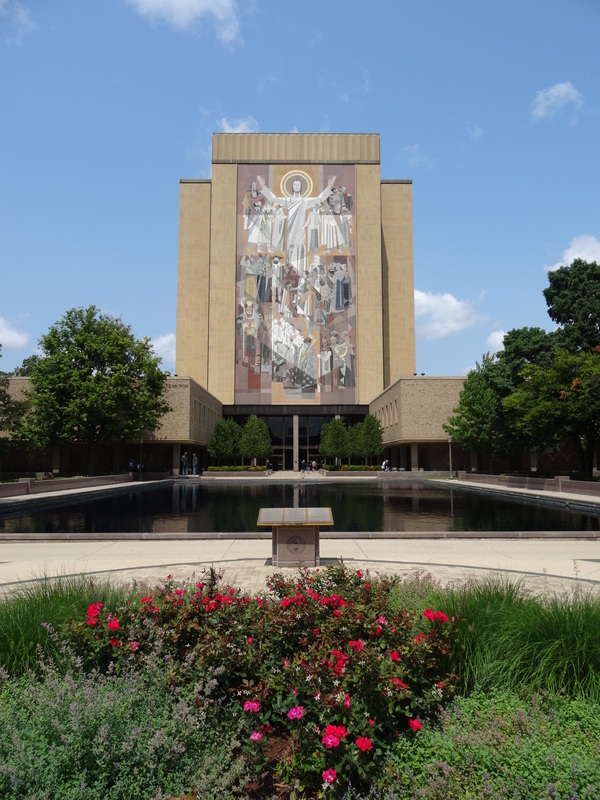 I’m sure it stays busy during finals week, but Trey and I were glad to take advantage of its quiet solitude to sit, rest and listen to the birds. 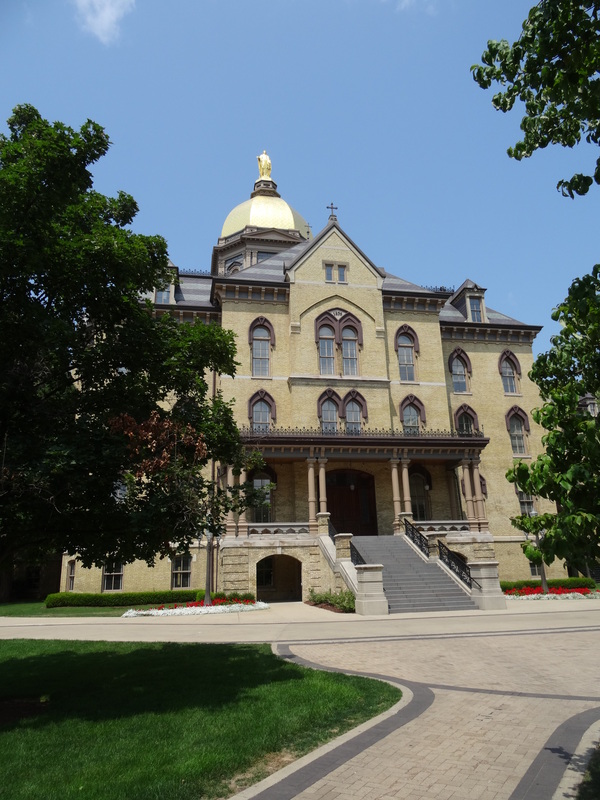 I found South Bend charming and a bit of a sleepy city. 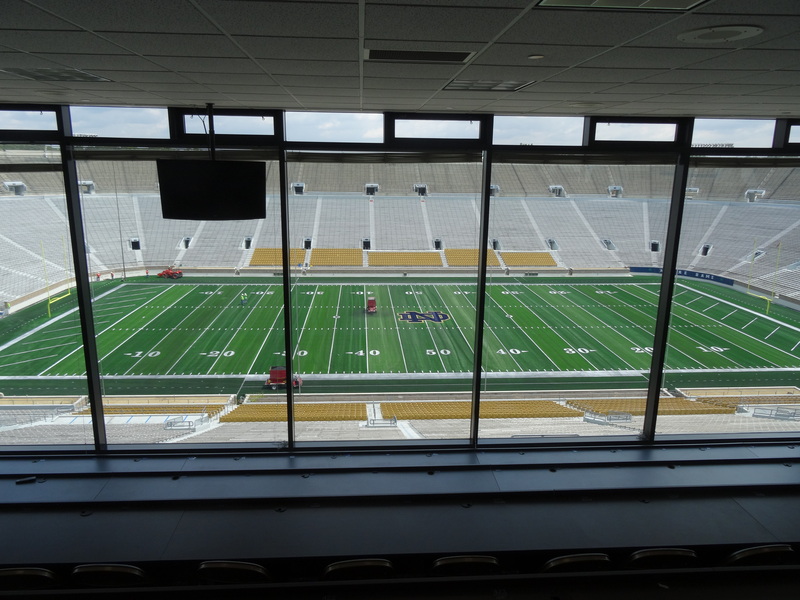 Of course, this was from the perspective of visiting at the end of July. 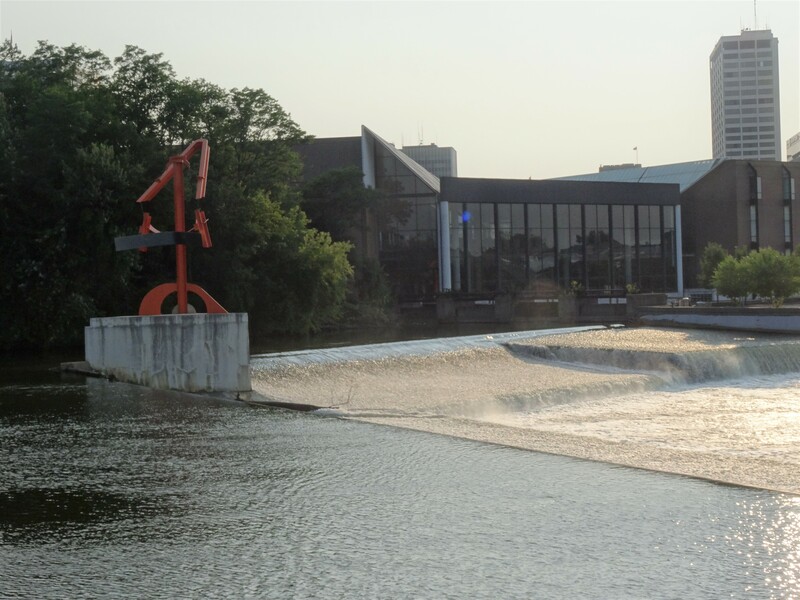 Like most college towns, we were able to easily navigate the city by bicycle, and particularly enjoyed the East Bank Trail that followed the St. Joseph River into downtown South Bend. Here, the St. Joseph’s is dammed up with concrete walls to create an aesthetically pleasing town center around the water. 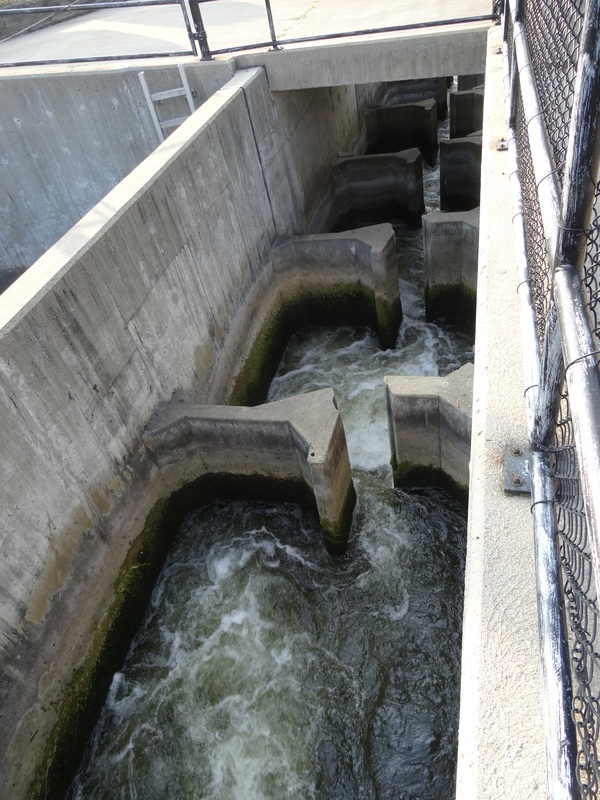 Fish ladders were added to the east side of the river in 1987 as a solution to the disrupted salmon and trout migrations from Lake Michigan. There were huge trout making their way through one of the ladders but we were unable to catch one on camera. We also failed to capture the beautiful Italian dinner we enjoyed at Carmelo’s.